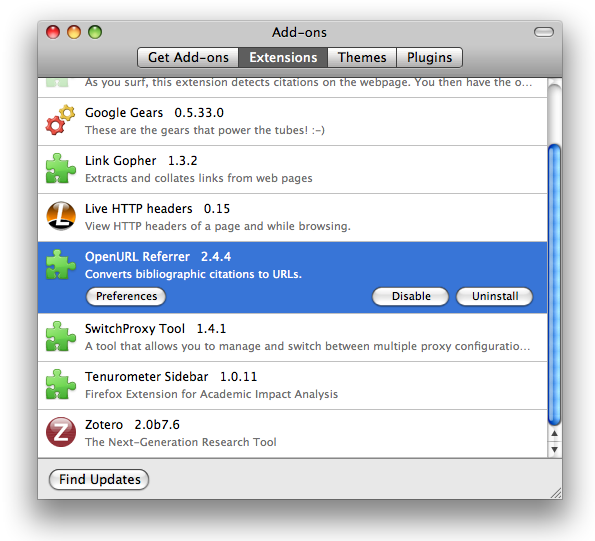 OpenURL Referrer is a Firefox extension that converts bibliographic citations in the form of COinS into URLs. Click on New Profile and in the dialog box that appears set the profile name to "BioStor". In the section Display link as either enter some text in the Text field, for example "BioStor", or enter the URL of an image in the Image field, for example "http://biostor.org/images/findbiostor.png". This image will then be displayed on web pages which contain COinS. When you visit a web page that contains COinS the OpenURL referrer will insert a link (labelled with the text or the image you selected above) into the web page. 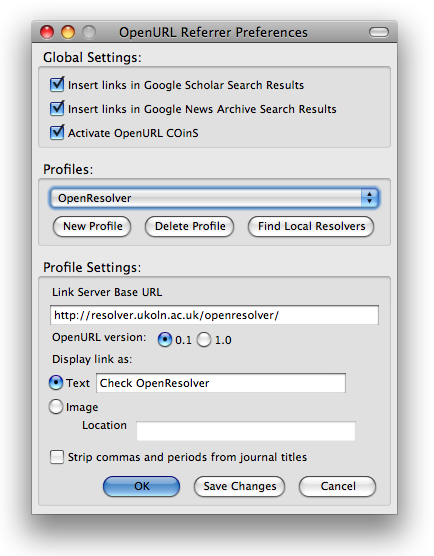 Clicking on that link will take you to BioStor's OpenURL resolver.